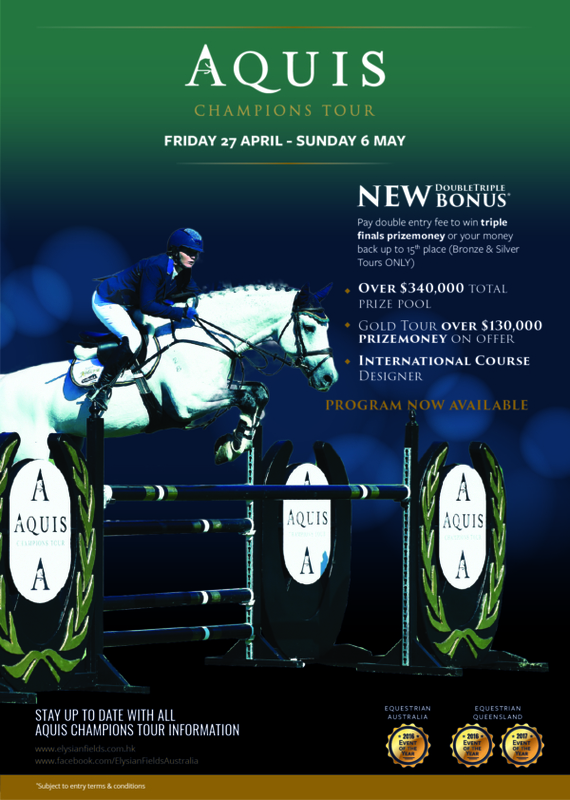 Organisers of the Aquis Champions Tours 2018 have extended a warm welcome to New Zealand riders heading over to Australia to compete in a team’s event at the Aquis Champions Tour, Elysian Fields, Conungra – 27 – 29 April, 1 – 6 May, 2018. There are opportunities at three levels for senior riders, young riders and junior riders from New Zealand to participate in an event made up of combinations from Australia, New Zealand and Japan. This is not a borrowed horse event – riders are required to provide their own horses. This is a privately organised (unofficial) team event that is not directly organised through ESNZ Jumping or selected by ESNZ Jumping Selectors.